Day 1 Lhasa Arrival. Transfer to hotel and rest for acclimatization. Overnight in Lhasa. 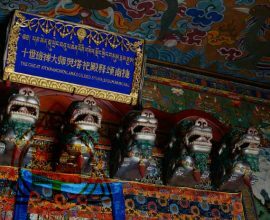 Day 2 Lhasa sightseeing: Jokhang Temple, Barkhor Bazaar and Sera Monastery. Overnight in Lhasa. 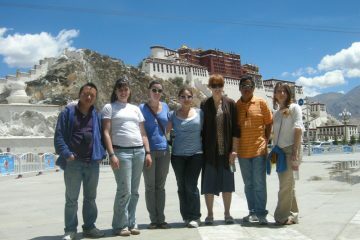 Day 3 Lhasa sightseeing: Potala Palace and Norbulingka Palace. Overnight in Lhasa. Day 4 Lhasa-Lake Yamdrok-Gyantse (Palkhor Monastery & Kumbum Stupa)-Shigatse (350 km). Overnight in Shigatse. Day 5 Shigatse (Tashilhunpo Monastery & local free market)-Lhasa (280 km). Overnight in Lhasa. Day 6 Lhasa-Ganden Monastery-Yerpa Cave Monastery. Overnight in Lhasa. 2) Private expense like laundry, IDD calls, drinks in the room, lunches and dinners, etc. Upon your arrival at Lhasa Gonggar Airport or Lhasa Newwu Train Station, your Tibetan local guide and driver will pick you up with your name sign, and then they will transfer you to Lhasa city safely. Please be not so anxious to walk much around hotel to see this that, but you do need a good rest in your hotel for needed acclimatization, otherwise you maybe under the weather little bit and easy get mountain sickness. Today our first visit we will take is to Jokhang Temple which locates at Barkhor Bazaar. This temple is the most revered shrine in Tibet and is constantly bustling with devout worshipers. 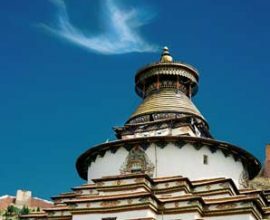 It was founded in the 7th century by the first great Buddhist king Songtsen Gampo. Later you can explore the surrounding Barkhor old quarter and spend time walking around Jokhang Temple following pilgrims from all over the Tibetan plateau.In the afternoon, the site we will visit is Sera Monastery, a fifteenth century sprawl of golden roofs and whitewashed walls. This well preserved monastery is located just a few miles North of Lhasa and is home to several hundred monks. Its famous debating activities are happening 3-4 pm quite regularly every working day, we will not give it a miss. Today what we will visit in Lhasa is the vital Potala Palace and the Jokhang Temple with her vicinity. 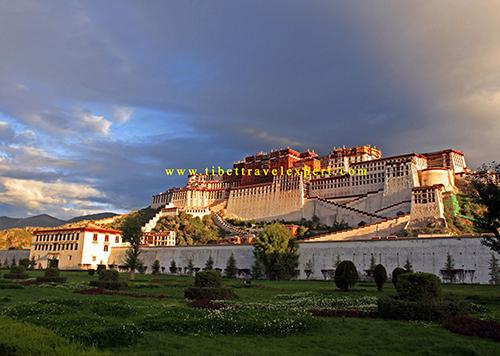 Potala palace is Lhasa’s most important landmark and she a wonder of Eastern architecture. Your first site of this massive structure will be a magical moment which will be remembered for your rest life time. It has been a palace since the fifth or sixth century and was once the home to the Dalai Lama. And the other visit is to Norbulingka Palace. It is the summer palace of the Dalai Lama, built in the 18th century by the seventh Dalai Lama. It’s tradition to do picnic in its beautiful garden and perform opera dances during Shoton Festival (August-September). Today’s trip is little bit tight cuz of so much to see. 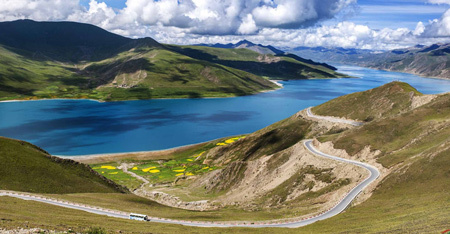 We will pass the two high passes of Khamba La and Kharo La which are over 5000m, and we will bypass the beautiful and snake-like Lake-Yamdrok Tso. We can stop to ride a yak on the back of which we can get pictures of the lake and mountain peaks from a far. When get to Gyantse, We will have a quick lunch and rest little bit, then we will drive to see the Gyangtse Dzong and Pelkhor Choede Monastery & Kumbum Pagoda. 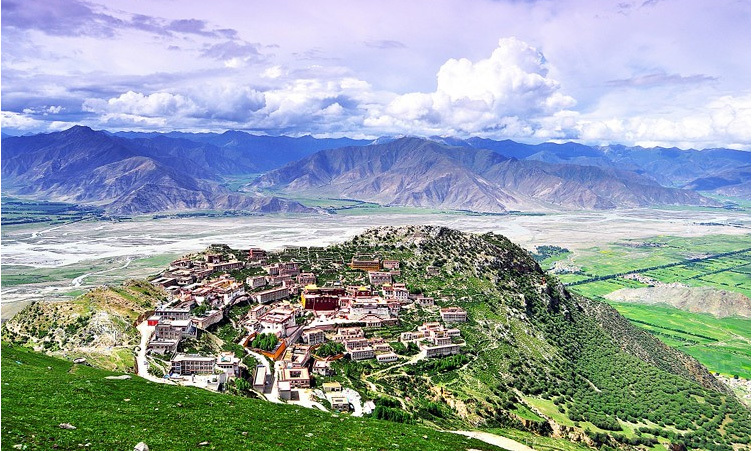 The Kumbum is much more than a Stupa, as it is surrounded by numerous Tibet murals and small chapel houses. Even if you are not professional art connoisseur you will still be shocked by these ancient murals and architecture. After the visit in Gyantse we will continue another easy drive about one and half hours to Shigatse city which locates 90 km from northwest Gyantse. Shigatse is the second Tibet’s second largest city where we can have a good rest. On this day, mostly, people, especially those from west do not have any mountain sickness. o/n at hotel. After breakfasts around 8 am, we will take a walking visit to famous Tashilunpo Monastery,and Shigatse local free market, It is very interesting to see the difference between ancient Tibetan culture and the modern one because there are countless amounts of sights, both modern and ancient to see in this city. 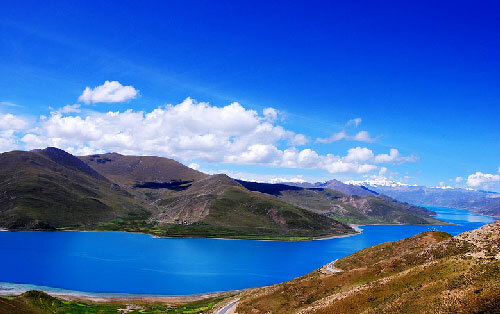 Today our tour ends with a relaxing and pretty loose drive back to Lhasa, check in hotel and have good rest before leaving Tibet for next destination. Accommodation as above. In the morning we visit Ganden Monastery, 50 km from Lhasa. It is the main seat of the Gelug Sect and was founded by Tsongkhapa in 1409. We can also do kora around monastery. It’s placed in the top of a hill in the Kyichu valley. 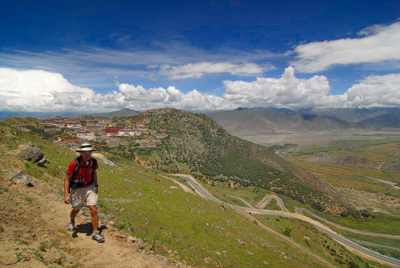 You can do kora around monastery too and enjoy great views of Tibetan original landscape. After lunch, we will visit Drak Yerpa meditation caves and temples. 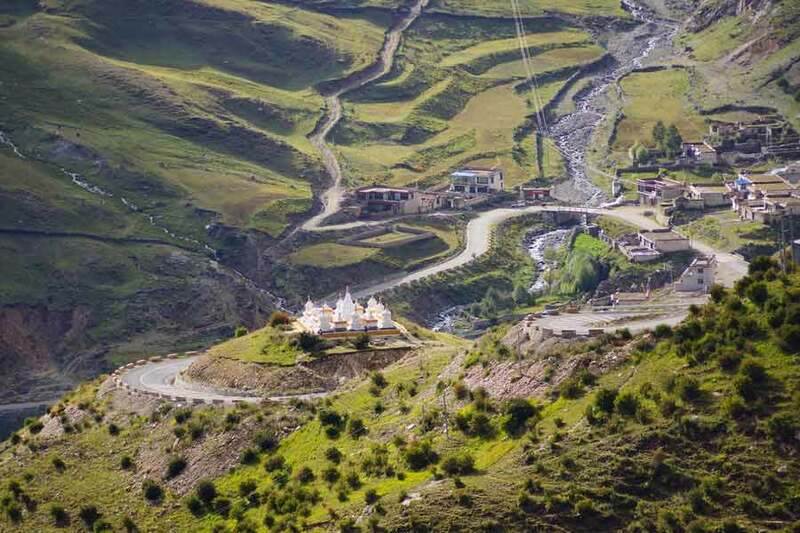 It’s an off the beaten path complex where Tibetan masters go for meditation since VII Century. 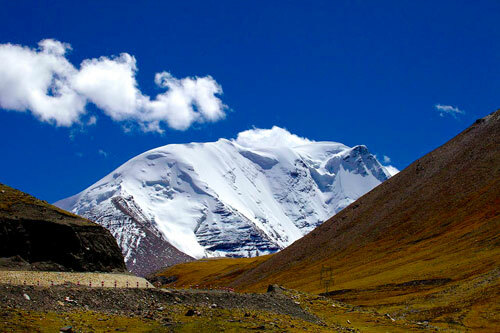 It’s one of the most holy and important pilgrimage places in Tibet. Visit takes around 2-3 hours walking in a hillside. 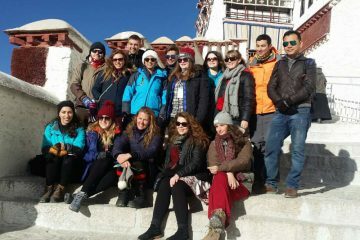 Back to Lhasa and enjoy free time.do kora around monastery. 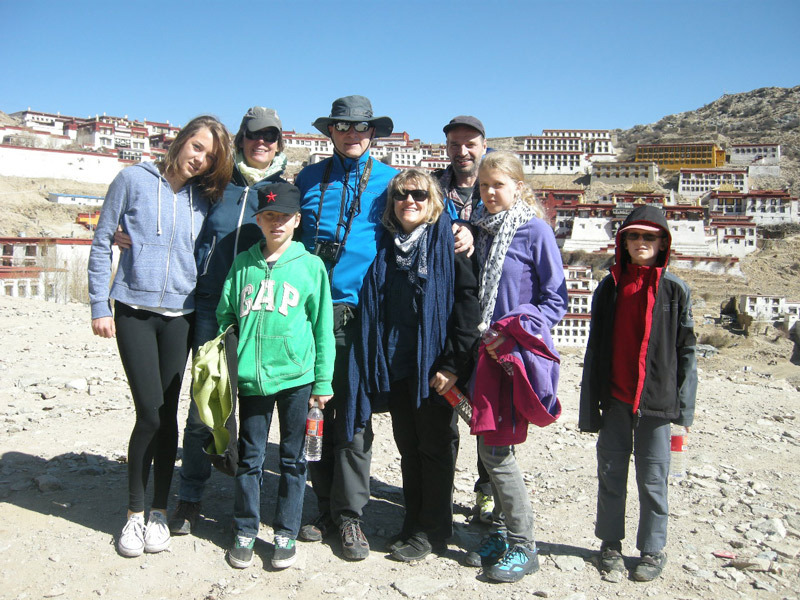 Our Tibet guide and driver will transfer you to airport or train station for final departure. Price is on twin-share room in 3 star standard comfortable accommodation basis (5 nights in Lhasa, 1 night in Shigatse), one night on dormitory guesthouse basis near Everest Base camp. 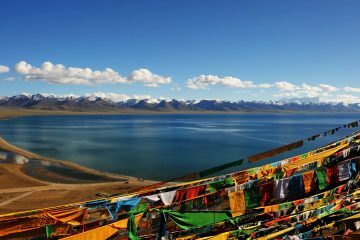 Single room supplement ranges from 200-280$ per different departures, your Tibet trip advisor will reconfirm to you upon booking. Departure is on every Monday, Wednesday and Friday. Please tell us your own arrival date and departure date to be sure you can join one of the fixed departure tours above.